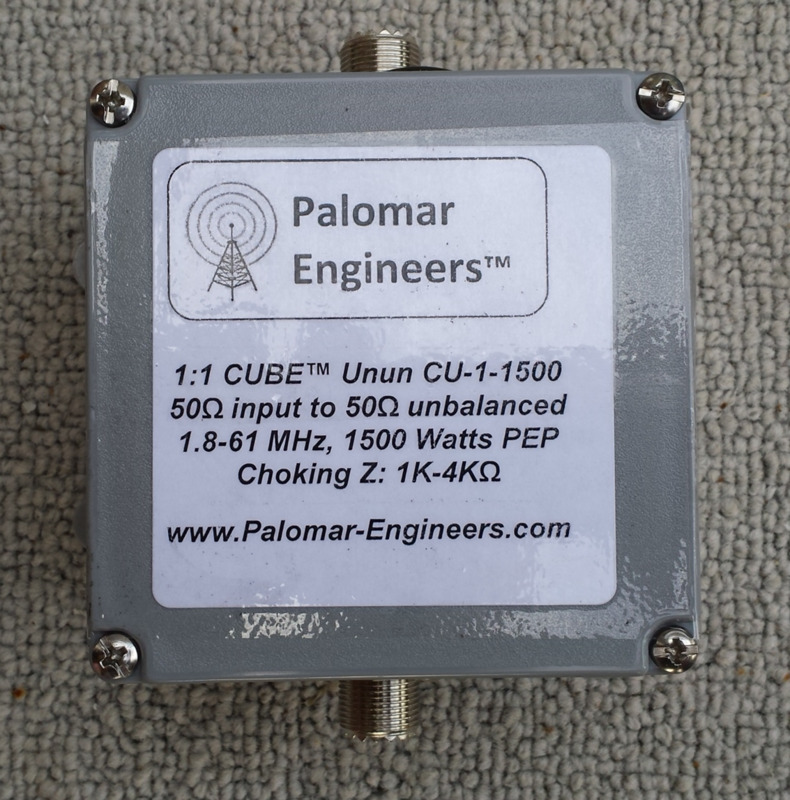 Th CU-1-1500 unun is useful as common mode feed line chokes or coax to antenna interfaces. SO-239 output models can also be used with balanced antennas if a short coax cable “pigtail” is used on the output and connected to the antenna. 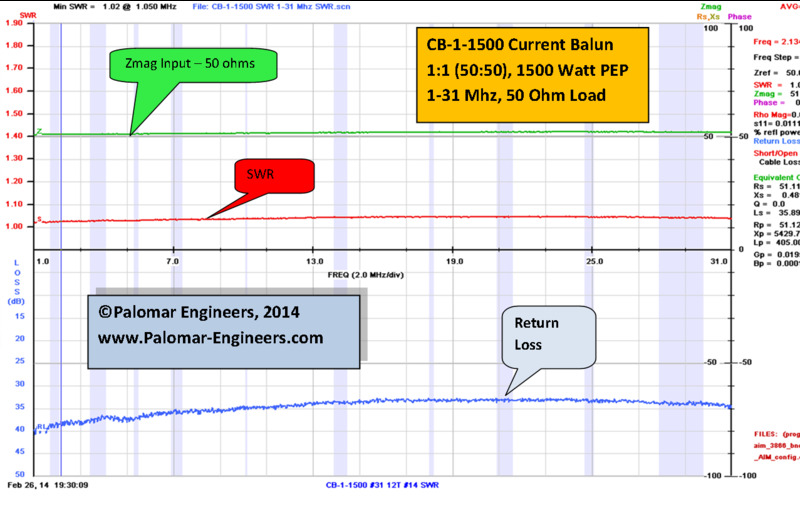 Rated 1500 Watts PEP from 1.8-61 MHz. Use as line isolator, antenna interface, or as a common mode choke to keep RF on the antenna and off the outside of the coax braid. Much more effective then our sleeve feed line chokes due to our exclusive Multimix(TM) multi-core topology using high permeability ferrite cores which provides a high choking impedance over a broad frequency range. 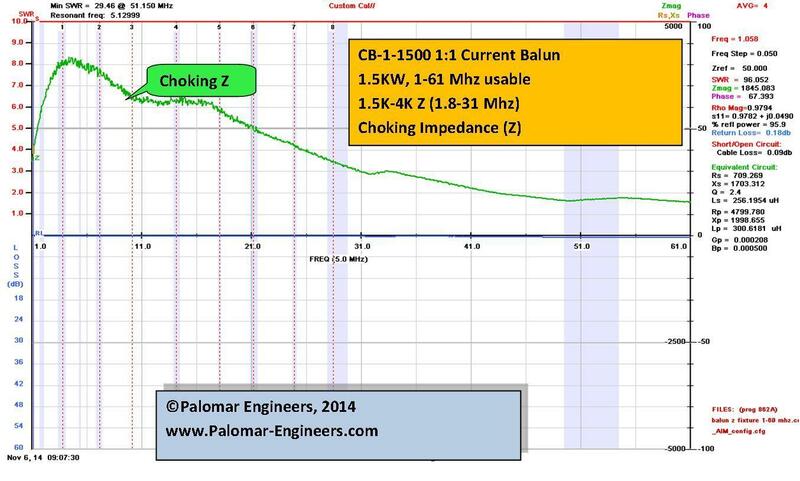 Typical choking impedance of 1.5K-4K from 1-61 MHz reduces common mode current! For most effective results, use 1 choke at the antenna and another at the radio. Helps reduce noise floor too by choking off common mode neighborhood noise picked up on outside of coax braid.